Seven people, including the gunman, were killed in a Friday night drive-by shooting in the beachside community of Isla Vista, which is near the University of California, Santa Barbara campus. Seven other people were wounded during the incident. The shooter fired bullets in several locations, resulting in nine crime scenes, the Associated Press reports. He also exchanged fire with the police at around 9:30 p.m. Various news sources have identified the gunman as Elliot Rodger, son of Hunger Games assistant director Peter Rodger. 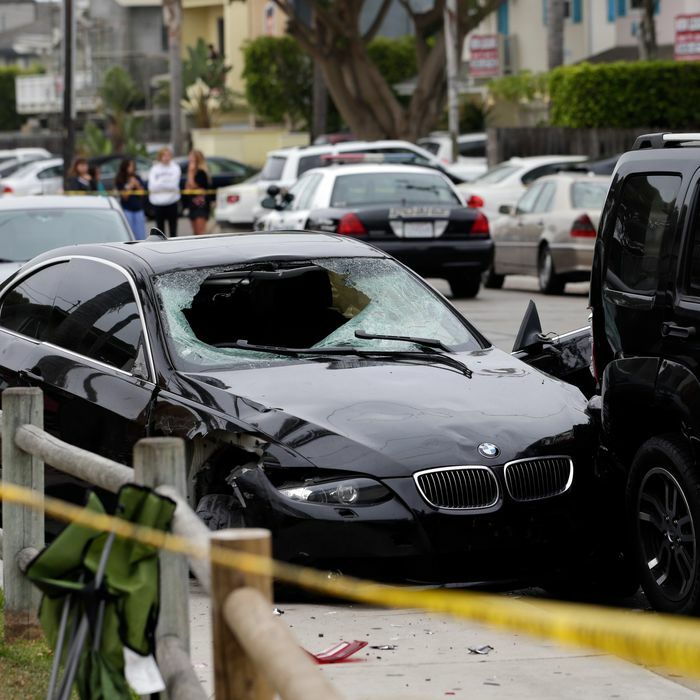 Santa Barbara County Sheriff Bill Brown has yet to officially name the 22-year-old, though he did say the suspect was found dead with a gunshot wound to the head after crashing the black BMW into a parked car. It’s not yet clear whether he was killed by gunfire or if he committed suicide. Calling this attack “the work of a madman,” Brown said his department is “analyzing both written and videotaped evidence that suggests that this atrocity was a premeditated mass murder.” The Santa Barbara Independent reports that a YouTube video posted on Thursday titled “Elliot Rodger’s retribution” shows a young man complaining of rejection by women “appears to be connected” to the attack. Sitting in his car, parked in front of some palm trees, Rodger talks of “loneliness, rejection and unfulfilled desires,” and blames women for throwing themselves at “obnoxious brutes” but rejecting him, “the supreme gentleman,” USA Today reports.